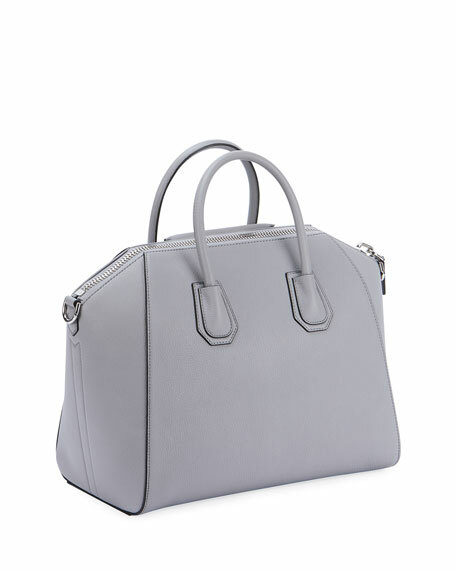 Givenchy "Sugar" grained goatskin bag with shiny palladium hardware. Available in multiple colors. Rolled tote handles. 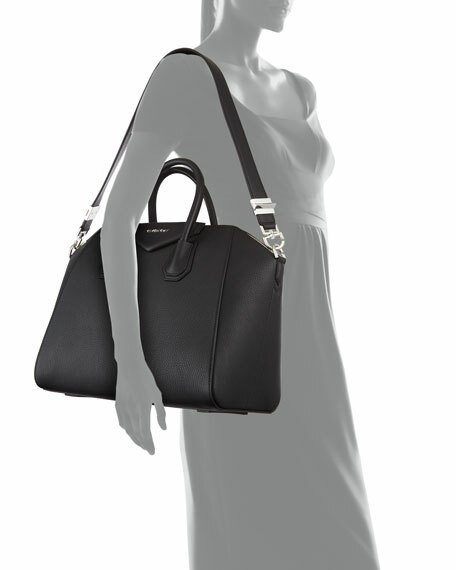 Flat shoulder strap. 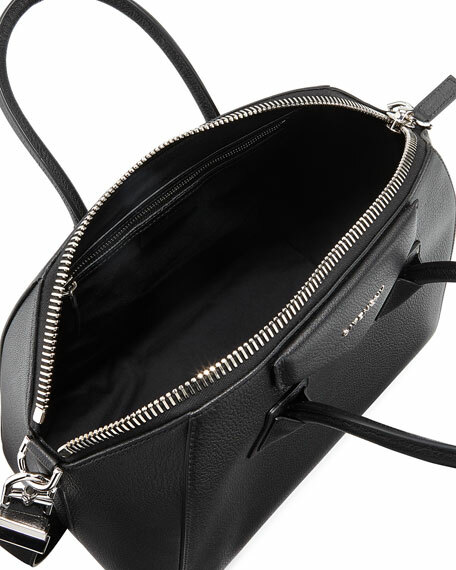 Extended-zip top. Envelope flap detail with metal logo lettering. Leather tabs protect bag bottom. 7"H x 11"W x 5"D. Made in Italy.